How are decisions made in institutions of higher education regarding the acquisition and use of educational technology to support teaching and learning? What sources of information are leaders currently using in decision-making, and what role does research play in decision-making? Over the years, I’ve served on edtech committees, adopted numerous technologies in support of teaching and learning, and even been the consultant providing expert advice to a University who was in the middle of a key decision making process. 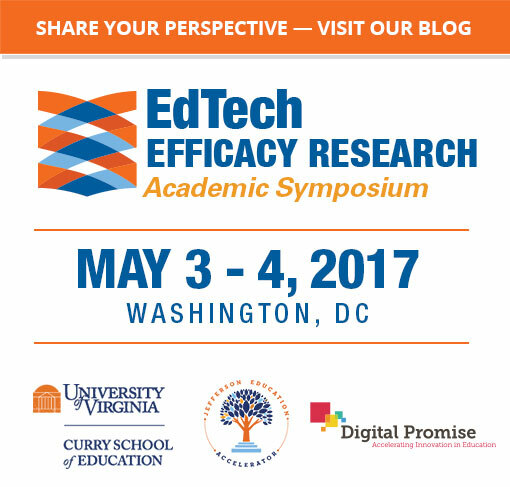 Through all these roles I’ve held in my career in edtech, I’ve often wondered how the process differs from institution to institution, how often efficacy research is being used to make those purchasing decisions, and why there isn’t some centralized repository of the findings from each institution that could be accessed by others when needed. I’ve recently joined the research team that is working on finding answers to these questions. I’ve joined working group B: The role of research in HigherEd decision making. We are focused on learning more about how decisions are made in institutions of higher education regarding the acquisition and use of educational technology to support teaching and learning. What sources of information are leaders currently using in decision-making, and what role does research play in decision-making? Whitney is the Chief Academic Officer at iDesign working with institutions of higher education to build high quality online and blended learning programs. She has an extensive background in education, leadership, educational technology, strategic planning, learning management systems, professional service delivery, and organizational change. Her primary areas of focus are faculty professional development, personalized adaptive digital content, and learner engagement. Her PhD research focused on the use of social media to support informal professional learning for educators. Alison is a senior level public policy professional with over sixteen years of federal legislative and regulatory experience, state-level policy acumen and client advocacy work in the higher education space. Amy has over 25 years of operating experience, from leading content businesses at PBS to running an education company for the private equity group KKR. She also teaches business model design at Penn’s Graduate School of Education, in their Masters in Education Entrepreneurship program. Bill is recognized as a national leader in the education sector. He served as deputy U.S. secretary of education from 2001-2003, acting as the department’s chief operating officer. Previously at the Education Department, he had served as assistant secretary for management and budget and chief financial officer. Bill most recently was chairman and CEO of the Washington, D.C. consulting firm Madison Education Group. Bror is responsible for the research and development of innovative learning strategies, technologies, and products across Kaplan's full range of educational services offerings. He previously served as senior vice president and chief learning officer at K12, Inc. and as vice president at Knowledge Universe. David is a seasoned Engineer and Entrepreneur, who began his career as a technology investment banker and strategy consultant. Over the last decade, he has either founded or been a founding management team member of fast growing technology start-ups in the web search, digital content management and online advertising sectors. In 2010, David’s focus turned to education to align with his social views of the importance of education to our society. He is currently Founder & CEO of Intellus Learning, a content and curriculum analytics platform company working with higher education institutions to better manage their digital content and understand student behavior with digital content in relation to learning objectives. Deborah is the Founder and Managing Partner of GSV Acceleration Fund, a venture capital fund investing in the most dynamic entrepreneurs and companies leveraging technology in the global $4.9 trillion education and talent technology sectors. Emily manages Washington, D.C.-based partnerships, conducts policy research and analysis, and coordinates USA Funds sponsorships. Prior to joining USA Funds, Emily's work focused on advocacy for women and children globally, including leading a research team studying child welfare in Ghana. She recently obtained her Master's degree in political management from George Washington University. Fiona has been an education researcher and evaluator for over 15 years investigating the impact of technology on teaching and learning, and the cost-effectiveness of educational interventions including online and blended learning. Prior to Echo360, Fred was a Senior Advisor to Masayoshi Son, President and CEO of SoftBank and Chairman of Sprint’s Board of Directors. He held a number of senior roles at AOL, was a founder of the Washington Post Online Service (now WashingtonPost.com) and was a consultant with Bain & Company. Though originally trained as a behavioral neuroscientist, Jerome's focus is on the implementation of evidence-based strategies to improve education, many of which are outlined in his book, The Cognitive Classroom. Kristin is responsible for open educational resources, facilitating pan-university e-learning needs assessment and fulfillment, and conducting research. Prior to UVa, she worked in both education and business on complex technology projects. Matthew studies a wide range of education policy topics at both the K–12 and postsecondary levels, including class-size reduction, standardized testing, teacher quality, student loan debt, and college graduation rates. He was previously a senior fellow at the Brookings Institution. MJ is inaugural director of the University System of Maryland’s William E. Kirwan Center for Academic Innovation. Prior to coming to USM, MJ was Associate Professor and Director of the Lehigh University College of Education’s Teaching, Learning, and Technology Program. Phil is co-publisher of the e-Literate blog, co-producer of e-Literate TV, and a partner at MindWires Consulting. As a market analyst, he has analyzed the growth of technology-enabled change for educational institutions. Previously Phil was an independent consultant through HBO Systems and Delta Initiative. Stephanie's work is in design and development of instructional materials and systems with expertise in online learning, multimedia design, and cross-cultural implementations grounded in research.